Far distance undetectable infrared ink marked cards are a new type of juice cards. It uses with long distance IR camera and omnipotent marked cards contact, not with invisible ink contact lenses, luminous glasses or normal IR camera. With long distance IR camera, one of the biggest advantages is that you can watch more than one poker camera at the same time. 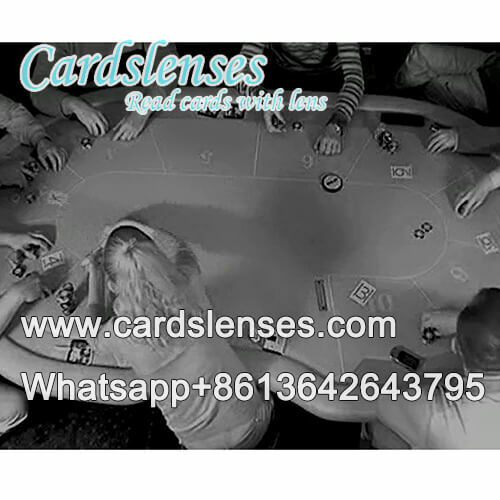 Any brand of playing cards can mark as far distance infrared juice marking cards, no matter it is paper cards or plastic cards, poker size or bridge size, jumbo index or regular index.